Thanks to famed Hall of Fame handler John Rex Gates for taking the time to speak with me this past winter at the 2012 National Championship. I asked him if he had any handling tips for amateur newcomers to field trials. 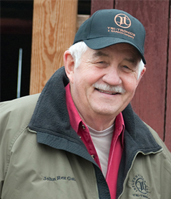 John Rex’s advice is pertinent to handling all field trial dogs. 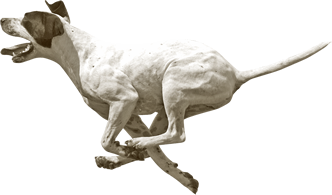 Obviously a somewhat different scenario is presented handling dogs from foot in the heavier cover of grouse and woodcock trials where, for example, a tight 10 to 2 cone would restrict the dog’s ability to hunt for birds. 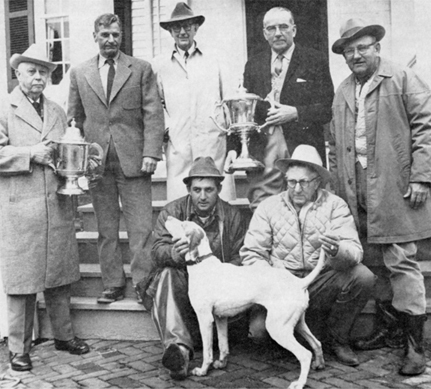 Afterwards, the conversation turned to John Rex’s favorites of the countless dogs he handled to championship wins and what about them he liked. This second conversation will be presented in a separate podcast. The wins listed below reveals a hint. 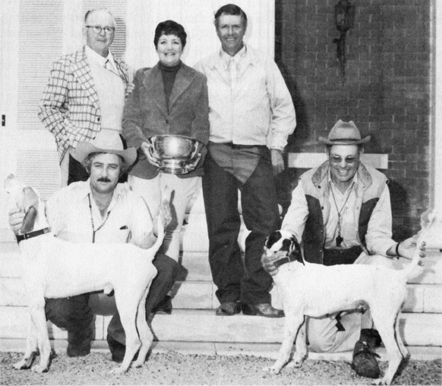 John Rex Gates retired from field trials 16 years ago having won over 100 Championships as well the Purina Award twice and in 1978, at the age of 38, he became the youngest handler inducted into the Field Trial Hall of Fame. 1997, John Rex won with Dave Grubb’s charge Miller’s Silver Ending when Dave suddenly fell ill. He had never handled the dog before that day! 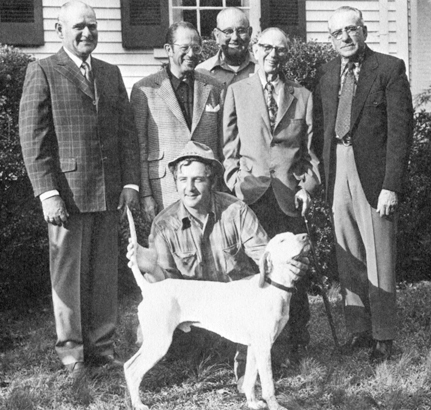 John Rex Gates and John S. Gates with the 1966 National Champion Safari. John Rex with Oklahoma Flush. 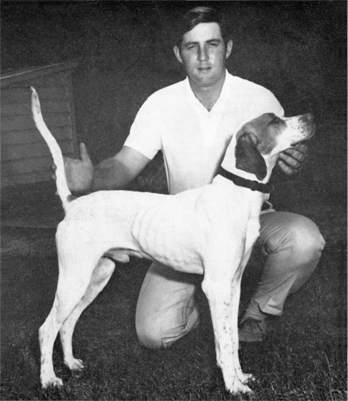 John Rex with the 1972 National Champion, The Texas Squire. At the 1981 Continental Championship with winner, Flush’s Wrangler. Runner-up was Karate handled by Freddie Epp.